The pop star released a new song, "Rise," at 11 p.m. ET Thursday. The track, which is available to download on iTunes and to stream on Apple Music, will be used as an anthem leading up to and throughout the 2016 Rio Olympics. "When, when the fire's at my feet again / And the vultures all start circling," she sings. "They're whispering, 'You're out of time' / But still I rise." "This is a song that's been brewing inside me for years, that has finally come to the surface. I was inspired to finish it now, rather than save it for my next album, because now more than ever, there is a need for our world to unite," the singer-songwriter told E! News in a statement. "I know that together we can rise above the fear—in our country, and around the world. I can't think of a better example than the Olympic athletes, as they gather in Rio with their strength and fearlessness, to remind us how we ALL can come together, with the resolve to be the best we can be. I hope this song can inspire us to heal, unite, and rise together. I am honored that NBC Olympics has chosen to use it as an anthem before and during the Rio Games." NBC Olympics and Perry are also collaborating on an original "Rise" cinema spot that will be seen in more than 20,000 movie theaters. "We are thrilled to have Katy contribute such a powerful and inspiring song to our coverage of the Rio Games," said Jim Bell, Executive Producer, NBC Olympics. "Her music and message speak directly to the spirit of the Olympics and its athletes." An extended version of Perry's cinema spot debuted Friday on NBC's Today during the 8 a.m. ET hour. It is also available to stream on NBCOlympics.com and other NBCU digital platforms. "Rise" is Perry's her first new music release since 2013's Prism. 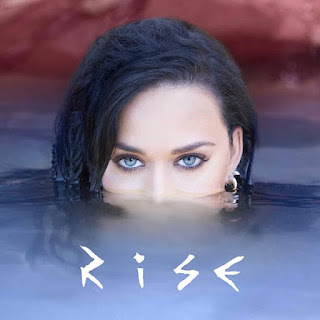 After the song made its debut, one of Perry's fans tweeted that "Rise" is "definitely relevant with all thats happening in the world." In response, Perry tweeted, "No better time than now." AnotherTwitter user reminded fans that "Rise" is "NOT the lead single for her next album," but rather an "amuse bouche." The singer agreed,adding, "[it's] yummy to ur tummy tho."